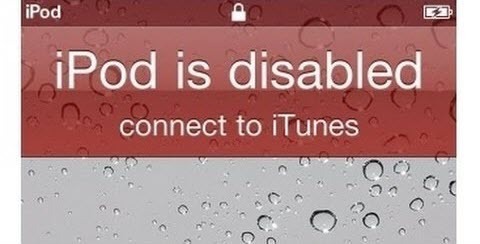 How to Unlock a Disabled iPod without iTunes or a Computer? Bypass "iPod Touch Disabled for 24 Million Minutes"
If you got the notification “iPod is disabled, try again in 23614974 minutes!” or anything that looks like it, and you are wondering how to unlock your iPod Touch without iTunes or a computer, then this article is for you. Method 1: How to Unlock a Disabled iPod without iTunes? When Will Your iPod Touch Be Disabled? In the event that you enter the wrong passcode on your iDevice 1 to 5 times, you will get red notifications telling you that the passcode is wrong. When you input a wrong passcode the 6th time, you get the report- “iPhone is disabled, try again in 1 minute.” This locks the iDevice, and you can’t enter any passcode until after 1 minute. 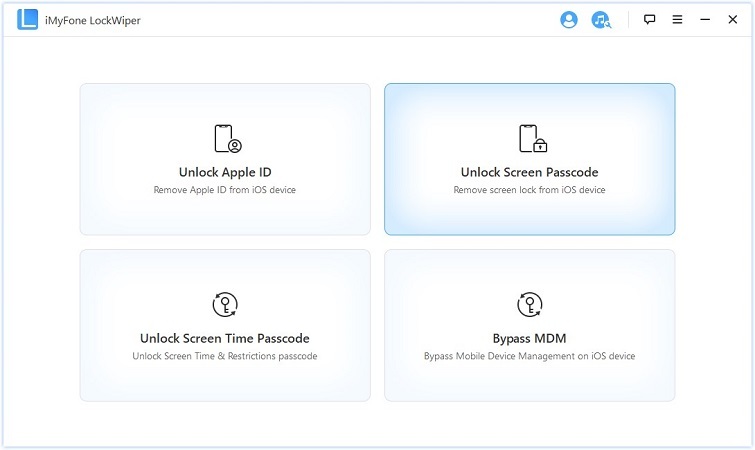 If you enter a wrong passcode yet the 7th time, there comes the notification, “iPhone is disabled, try again in 5 minutes.” On the 8th attempt, your iDevice gets locked up for 15minutes, and on the 9th wrong attempt, it gets locked for 60 minutes before you get another trial attempt. If you go on to enter the wrong passcode a 10th time, the iDevice gets disabled completely and you’ll have to unlock using iTunes. Method 1. How to Unlock a Disabled iPod without iTunes? In the event that you do not want to go through the complexity of unlocking your iPod Touch using iTunes, then it is necessary to make use of simpler methods to do this. 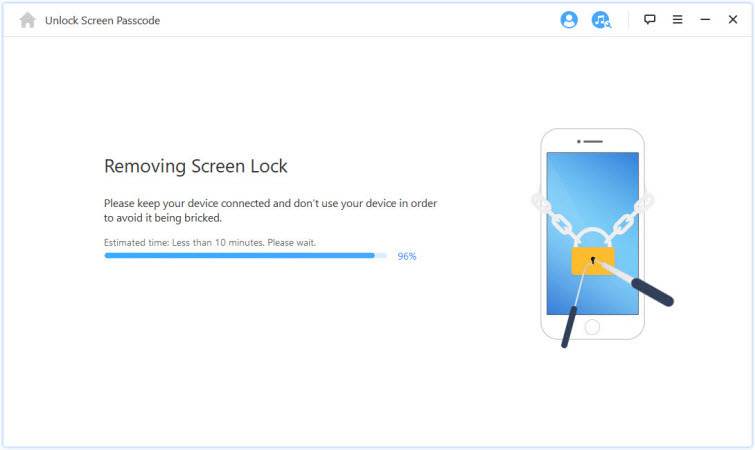 Although there are numerous ways to unlock an iPod Touch without using iTunes, one sure method that stands out is by using iMyFone LockWiper. 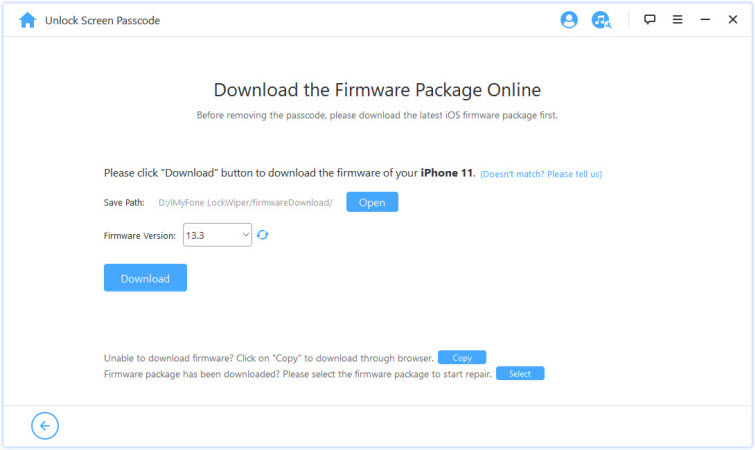 This software provides simple, uncomplicated and very effective ways to unlock any disabled iDevice. It comes with very amazing features that help you get the work done in stress-free ways. Quickly unlocks disabled iPods without using iTunes. Supports unlocking of disabled, locked and even broken screen iOS devices. Completely unlocks 4/6- digits passcodes, Touch ID and Face ID locks in few clicks. Do any unlocking with high rate guaranteed. Step 1: Download, install and Launch LockWiper on your PC. Choose "Unlock Screen Passcode" from the home interface. Step 2: Connect your iPod to computer and select Start. Your iPod will be automatically detected. Click "Download" there. Step 3: Then click "Start to Extract". Step 4: Once this is done, click on Start Unlock . Enter "000000" into the confirmation box and click "Unlock" to proceed. Just wait for a few minutes for it to complete. When it's done, screen passcode will be removed from your iPod. You can set up a new passcode then. 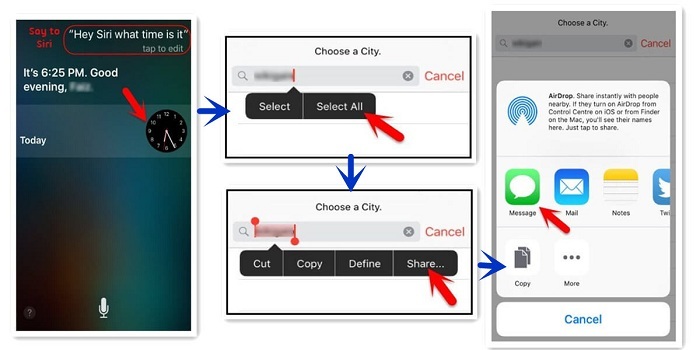 Press and holdthe Home button to activate Siri. Ask Siri what time it is. This will show a clock icon with your current time zone. Select the Clock icon, then click the plus “+” sign at the top-right of your screen. Type in some characters into the search bar displayed on top of your screen. Press and Hold the search button, then release to highlight the text. Click on the highlighted text again to Copy it. Select the icon to the right after “Copy” and then Share. This displays a menu with diverse share options. Select the Message option, displaying a new message window. Press and hold the To field displayed on top of the screen, following Paste. And tap the return button on your keyboard. Then tap on the “Create new Contact” button. On this screen, choose to add photo and tap on the “Choose Photo” option. Wait for a few seconds, then press the Home button. This shows that you have successfully bypassed passcode. This way only works for iOS 10 and earlier because Siri loophole was fixed in newer iOS versions. It doesn't remove the passcode from iPhone. So you need to repeat the steps every time you want to access your iPhone. 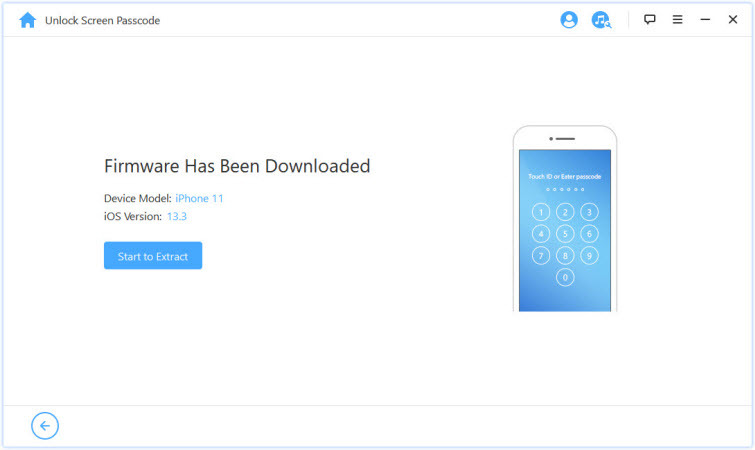 Step 1: Visit icloud.com/#find on any iDevice or Mac or PC. Step 2: Log in with the Apple ID associated with the disabled iPod Touch. 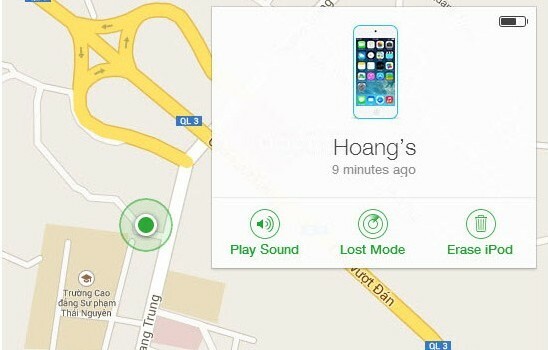 Click Find iPhone option. Step 3: Navigate to All Devices, find and select your iPod touch from the list. Step 4: Select Erase iPod and Confirm to proceed. This initiates the reset process, wiping off all data in the process, including the passcode. 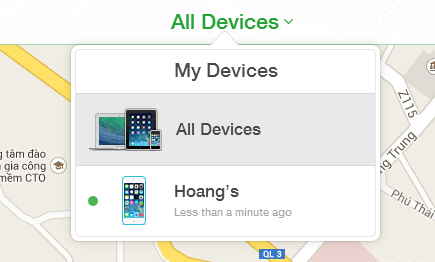 Your iPod should have iCloud account log in and have "Find My iPod" enabled. You should know the iCloud account and password. Your iPod must have internet. Or the remote erasure won't take effect.